Place three raw eggs gently into a bowl with egg dye. 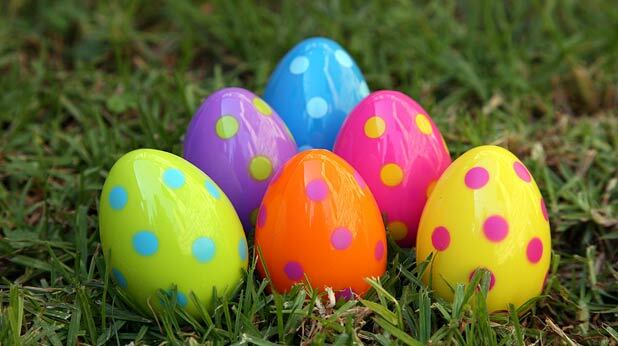 Turn the eggs over a few times to make sure they are covered with dye, and then let them soak for 5 minutes. 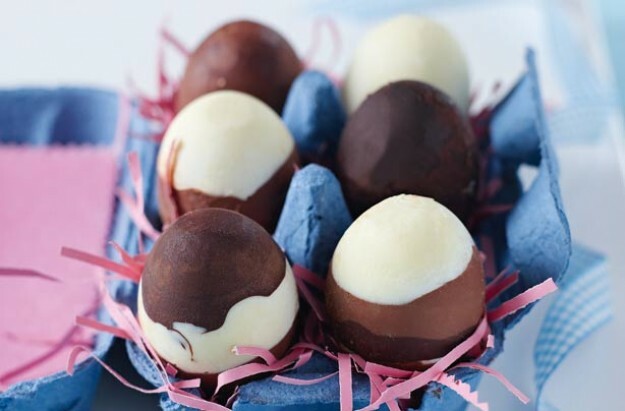 If you want to get everyone involved in making Easter eggs instead of buying them from the store, you’ll so much easier to use a microwave to melt cooking chocolate for the moulds than fussing around with double boilers on the stove. Break the chocolate into evenly sized pieces. Place in a clean, dry, unchipped, heatproof, microwave-safe bowl (Pyrex is recommended). Do not use plastic bowls as they retain moisture that will cause chocolate to seize. Leave the chocolate uncovered, as covering it will cause condensation to form and drop into the chocolate, again causing it to seize. Microwave uncovered for the first minute on Medium-High/70%. Stir with a metal spoon. Then microwave for 30 seconds and stir again until smooth. You can microwave or a further 30 seconds if required, stirring afterwards. Remove from microwave and stir until completely smooth. Brush an Easter egg mould with vegetable oil to lightly grease. Spoon the melted chocolate into the prepared mould (about 1 1/2 tablespoons each side for a large mould and 2 teaspoons each side for a medium mould). Working quickly, use the back of a teaspoon to spread the chocolate evenly over the inside of both sides of the mould. Close the mould so the edges join. Use clips to secure. Shake to coat on both sides. Set aside for 5 minutes. Turn over and set aside until almost set. Place in fridge for 5-10 minutes to chill. Remove the clips. Gently press the top and bottom of the mould, one side at a time, to release the egg. Then it’s time for the Easter egg hunt! 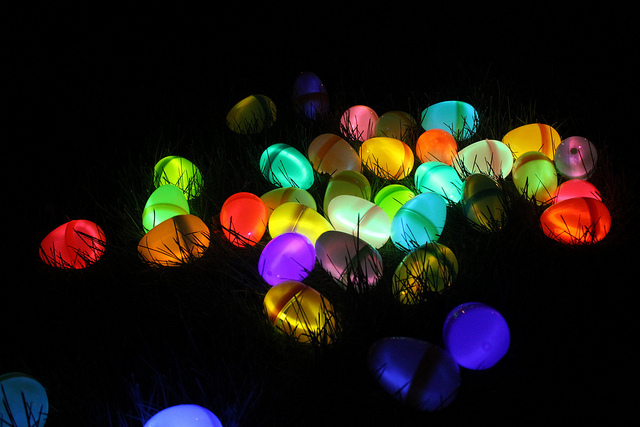 Why not use your glow in the dark eggs to light the way around the back garden for a fun night hunt? Easter treats are easy with a Panasonic microwave.